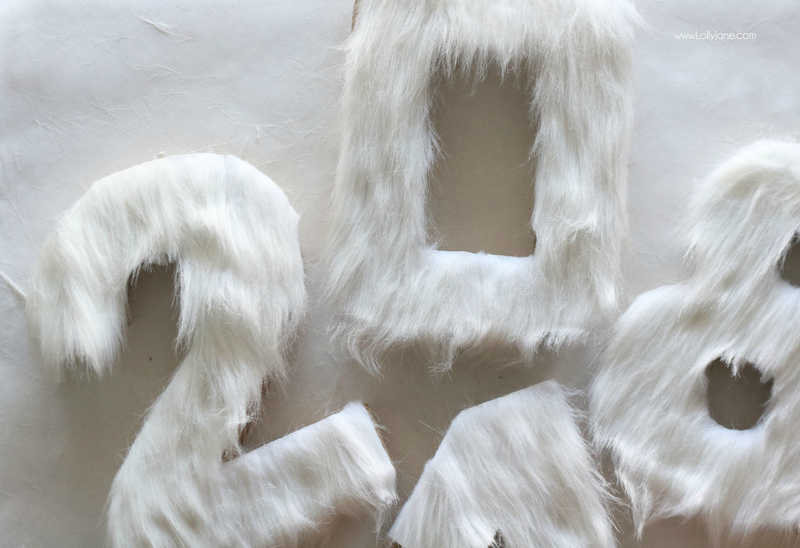 Now, I’m not a fur momma so I’m not used to little pieces of fur floating through the air while crafting but today’s tutorial of our cute DIY Fur Numbers are totally worth the mess because they are the perfect touch to my New Years Eve display! Spray the numbers and not the fur backing. 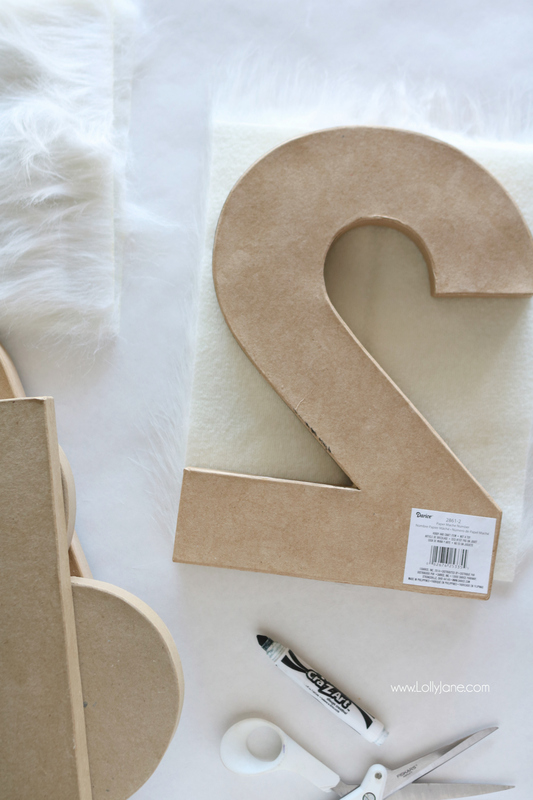 This is so the fur won’t stick together. 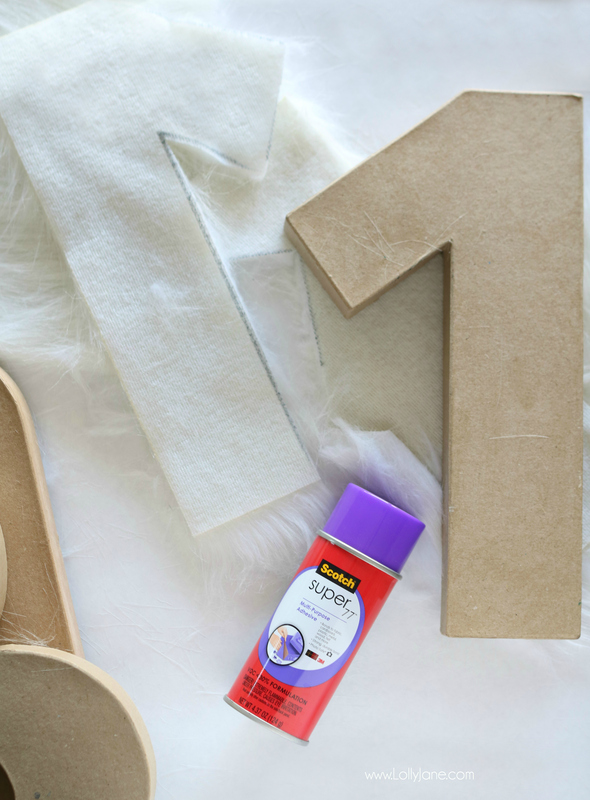 Just spritz a light coat of the adhesive on each paper mâche number then line up your cut piece of fur and push it over the top of the number. Hold for a few seconds and voila! Done. 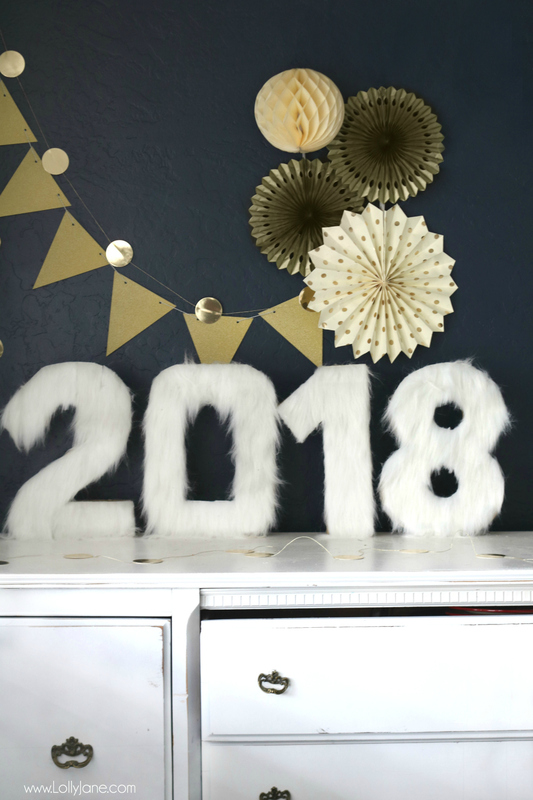 These faux fur numbers add that posh glam vibe I was going for come NYE party time, it’s little bit feminine but still natural with my drastic navy blue wall. The 2018 numbers really pop! 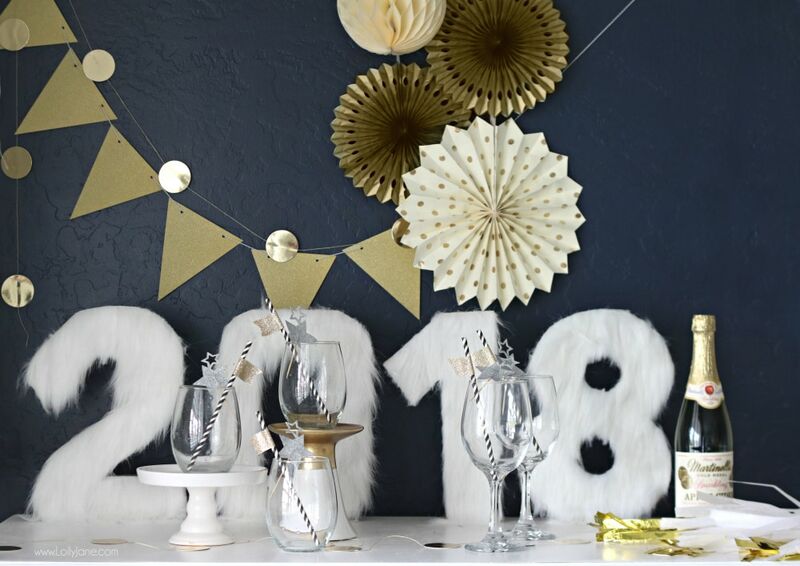 On my JOANN run I grabbed some cute decor from the wedding aisle and paired my fur numbers with a strand of gold dots, pinwheels, and gold banner. I spruced up some striped paper straws with gold shimmery card stock from JOANN and paired it with some punched out silver stars. 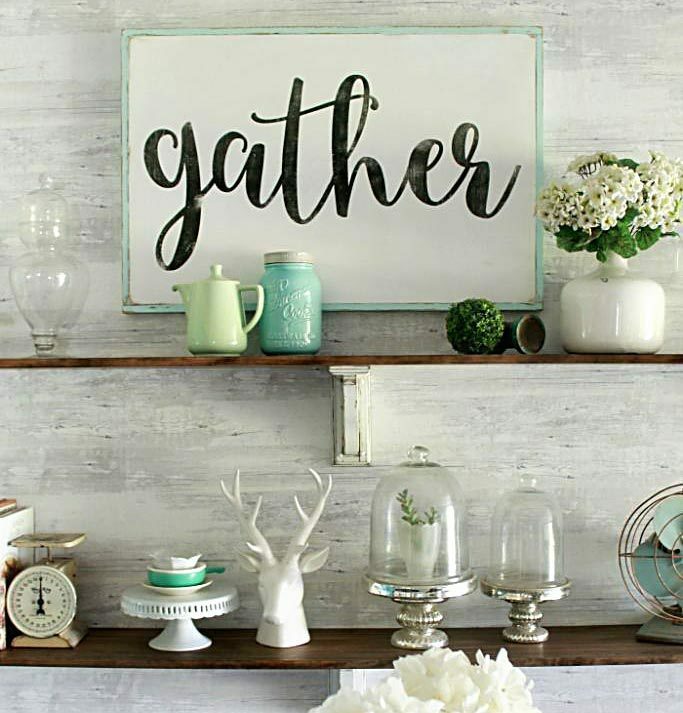 These accents really pull the display together! 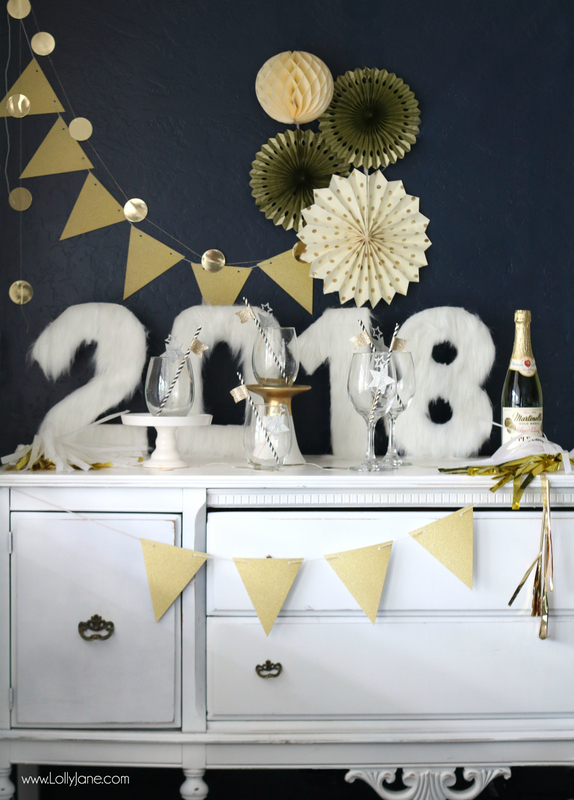 Our easy DIY Fur Numbers are just not only perfect for a New Years Eve display but also a party. 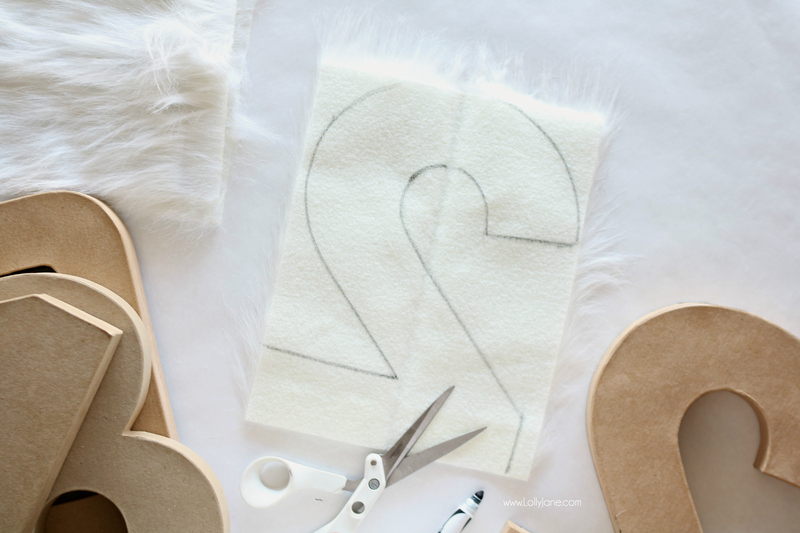 Imagine a 1-years old birthday party and the 12″ fur number 1 next to a smash cake OR a 25th wedding anniversary party and the fur numbers 25 are the center of attention when the couple is taking photos. Cute, right? 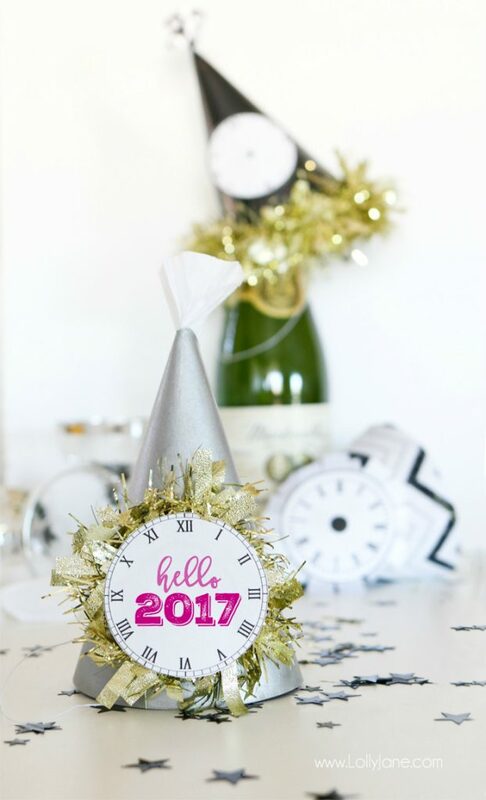 ps: Need more NYE inspo? 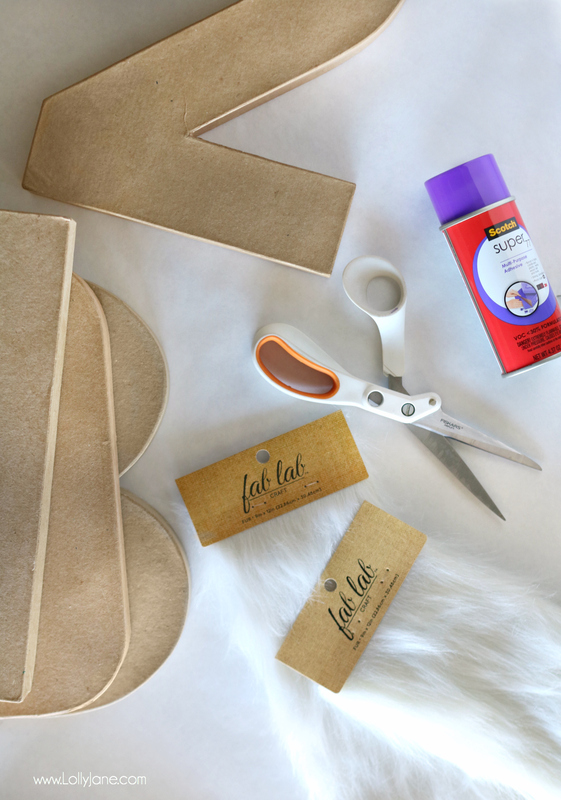 Check out our easy DIY party hats!